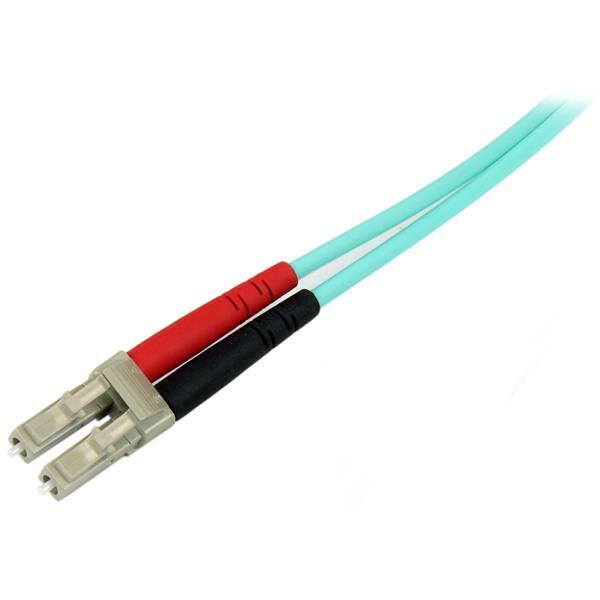 This fiber optic cable lets you connect 40GBase-SR4, 100GBase-SR10, SFP+ and QSFP+ transceivers in 40 and 100 Gigabit networks. The OM4 cable supports Vertical Cavity Surface Emitting Laser (VCSEL) and LED light sources and is backward compatible with your existing 50/125 equipment. 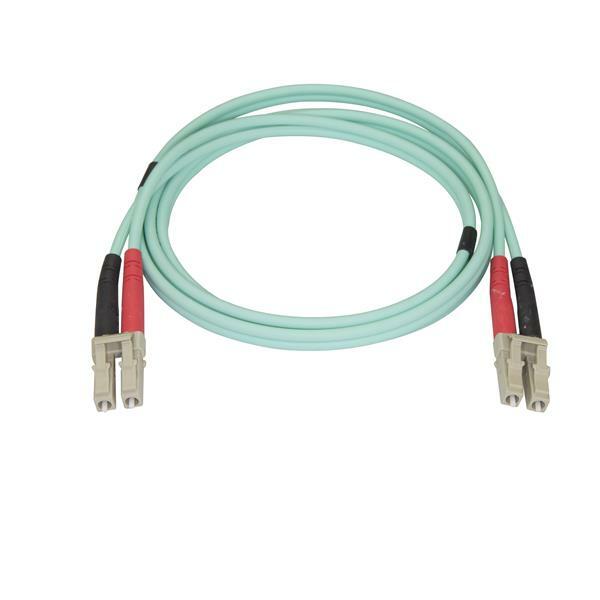 This Aqua OM4 duplex multimode fiber cable is housed in a LSZH (Low-Smoke, Zero-Halogen) flame retardant jacket, to ensure minimal smoke, toxicity and corrosion when exposed to high sources of heat, in the event of a fire. It's ideal for use in industrial settings, central offices and schools, as well as residential settings where building codes are a consideration. 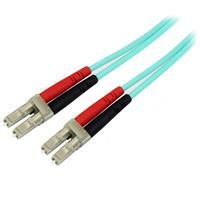 Each OM4 fiber cable is individually tested and certified to be within acceptable optical insertion loss limits for guaranteed compatibility and 100% reliability. The 450FBLCLC1 from StarTech.com is backed by a lifetime warranty.